What does osteoporosis, a potentially debilitating disease affecting some 10 million Americans and 2 million Canadians, have in common with conditions such as heart disease, diabetes, chronic kidney disease, dementia, and other selected conditions? It can go hand in hand with hearing loss. More specifically, at least one study links osteoporosis to a nearly doubled risk of sudden sensorineural hearing loss, a disease that can touch people of all ages around the globe but primarily affects those in their 50s and 60s. 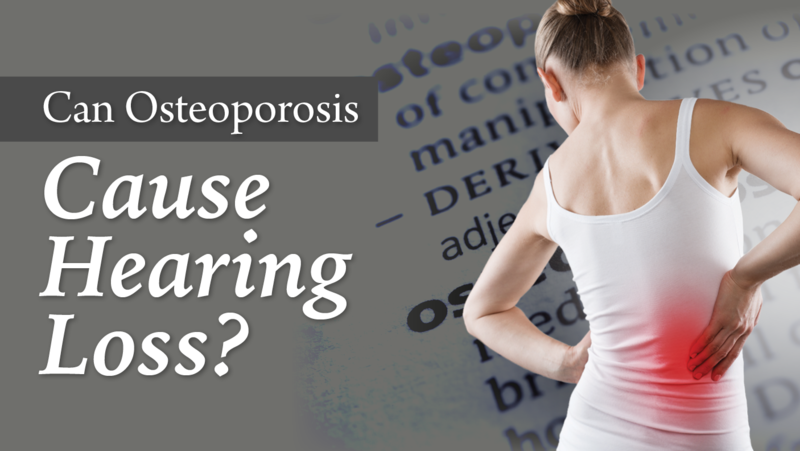 Scientists aren't necessarily ready to say that osteoporosis actually causes sudden sensorineural hearing loss, but studies have long reported a relationship between the two. More recently, researchers in Taiwan sought to quantify the risk of sudden hearing loss in osteoporotic patients. They published their results in the June 2015 edition of The Journal of Clinical Endocrinology & Metabolism. The investigators, who studied a random representative sample of 1 million participants in Taiwan's National Health Insurance program, found that those with osteoporosis had a 1.76-fold risk of experiencing sudden sensorineural hearing loss. Patients at seemingly greatest risk: adults 50 and older, women, and & possibly & those with hypertension and osteoporosis. Take good care of your bones & and your ears. A causal relationship between osteoporosis and sudden sensorineural hearing loss might not yet be conclusive, but one thing is clear: If you or a loved one has osteoporosis or is experiencing listening difficulties, it's important to get a hearing check. So don't wait. To stay atop your hearing health and help catch any potential changes or problems early, contact us to schedule a hearing evaluation today. Our caring team is here to help with all your listening needs!